Epcot’s Guardians of the Galaxy Ride WILL be a Roller Coaster! Good news for coaster enthusiasts and Disney fans: that much-anticipated Guardians of the Galaxy attraction coming to Epcot will indeed be a roller coaster. At the park’s 35th Anniversary Celebration on Sunday, Vice President of Epcot, Melissa Valiquette confirmed to the media that the ride replacing the former Universe of Energy will be a brand new coaster experience. 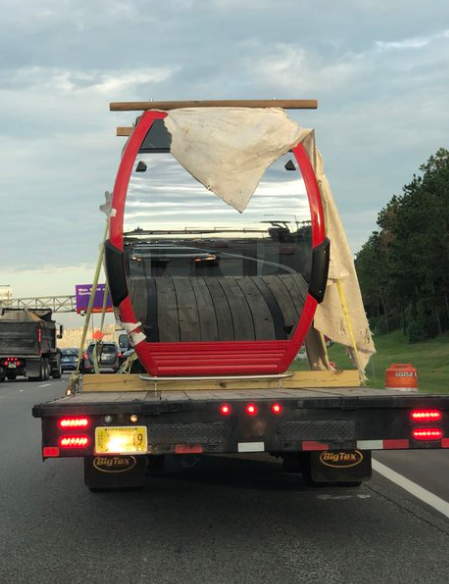 The ride’s manufacturer is currently unknown. As of right now, Epcot is the only Disney theme park in the world not to have a roller coaster. While Test Track is a high-speed thrill ride, it is technically a powered slot car attraction and does not classify as a coaster. With this new attraction though, Epcot will finally get an RCDB page of its own. As stated before, the ride, which was announced at this summer’s D23 event, will be built on the former site of the Universe of Energy. 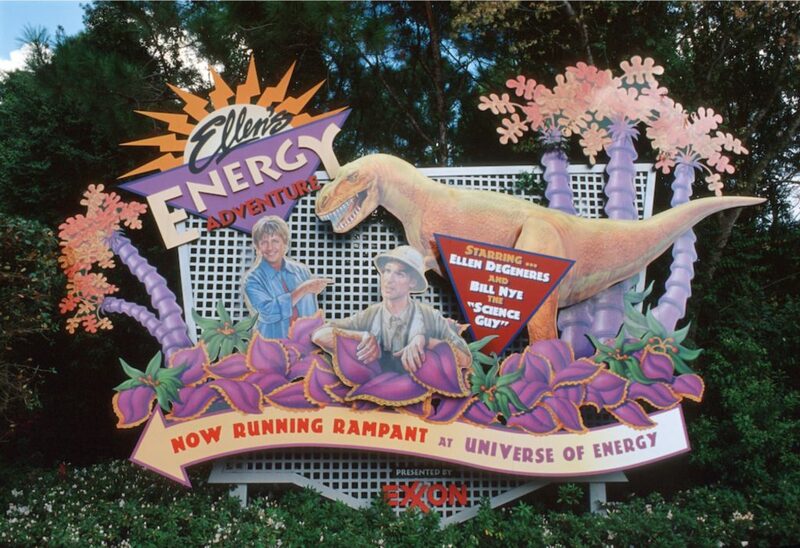 The pavilion, up until recently, was home to an arguably outdated show called Ellen’s Energy Adventure, a show that involved Ellen Degeneres and Bill Nye talking about the wonders of fossil fuels…oh and there’s a dinosaur diorama worked in there somehow. After years of waning popularity, the pavilion closed earlier this year in order to make way for this brand new attraction. If you ask me, it’s about time that the park received a massive E-ticket attraction like this. I always thought that Epcot could have used a roller coaster, and with the fine folks at Disney Imagineering involved, this one in particular is sure to blow you away. First Look at NEW Slinky Dog Dash Coaster Trains! 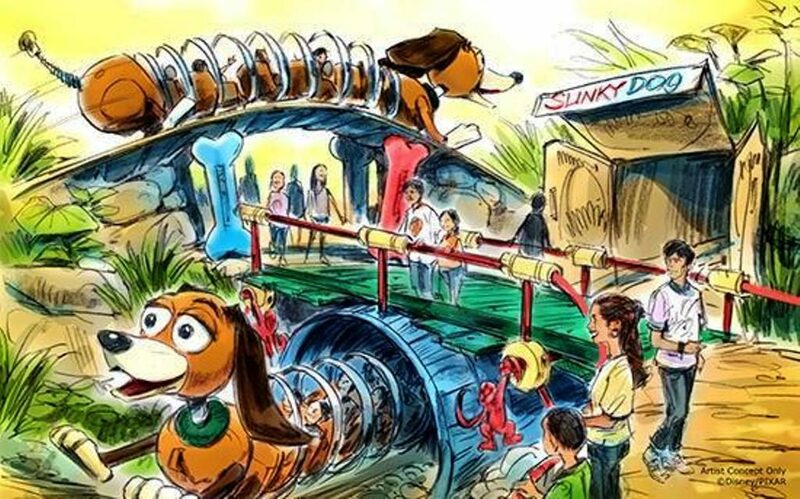 One of the most anticipated family coasters of next year is without a doubt Slinky Dog Dash at Disney’s Hollywood Studios in Orlando, Florida. This Mack launched coaster will be part of an all-new section of the park themed to Toy Story. We’ve previously seen the track, but check out these incredible ride vehicles! 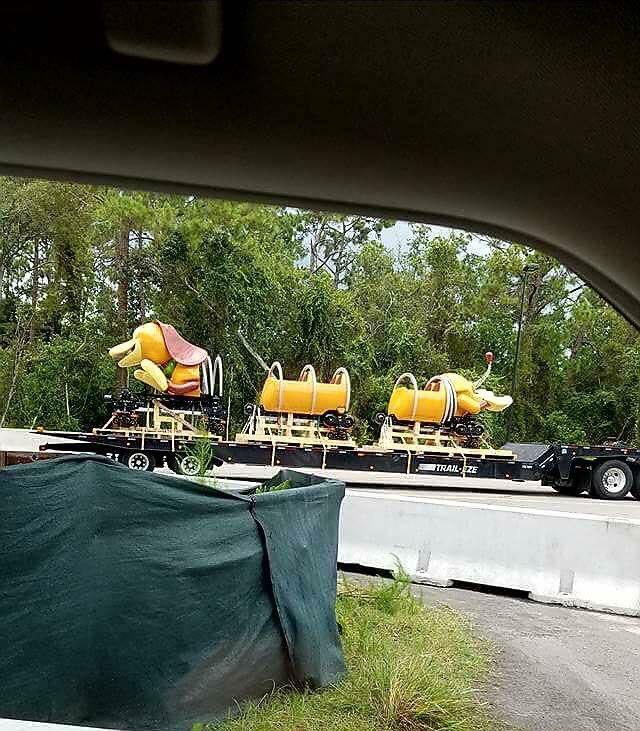 This image comes courtesy of Reddit user golf4miami, and it shows everyones favorite spring-loaded canine in all his coaster glory. As you can see, the ride vehicles feature his trademark spring between the cars, which is thin enough to not obscure the views of its passengers. Its cartoonish appearance makes it resemble a kiddie coaster more than a thrill ride, but this coaster is said to be much more exciting than a typical kiddie ride. Think less Barnstormer (Magic Kingdom) and more Firechaser Express (Dollywood). Im oersonally a sucker for a good family coaster with incredible theming, and this ride looks to deliver the goods in 2018.